This square will house green spaces, walks, but also cultural, tourist, associative or festive activities. Moreover, it is intended to receive the parade boats and will be able to propose official demonstrations. 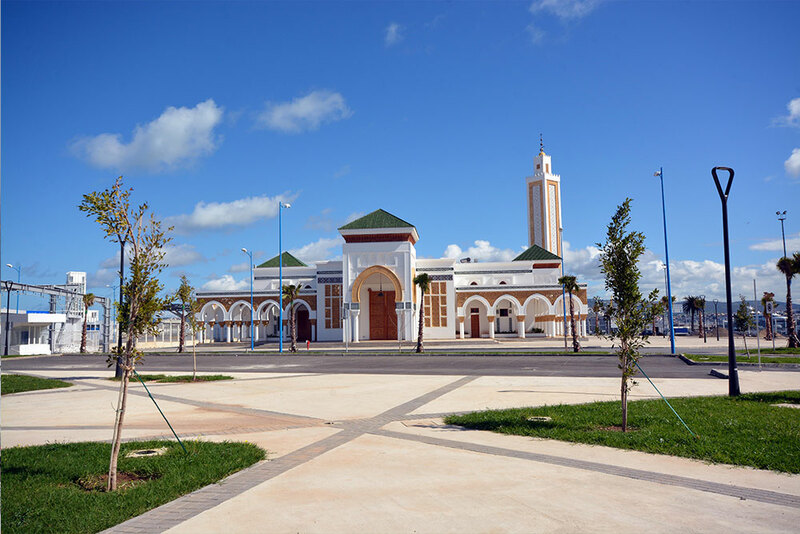 It has an area of 8 hectares and is located at the entrance of the port at the Renschausen buildings, the old railway station and the Borj of Dar Elbaroud. Located between the Marina and the cruise terminal, it has a panoramic view of the sea and the medina. With an area of 5 hectares, this square is ideal for walks by the sea and for hosting events of great affluence. Featuring walks, dining and entertainment venues, the square has an area of 2 hectares along the protective dyke of the marina. It has an innovative design representing a deck of a boat. Located next to the fishing port, this 1.5-hectare site is home to the great mosque. This is the first space that tourists (cruises and ferries passengers) will land on when arriving to the harbor.